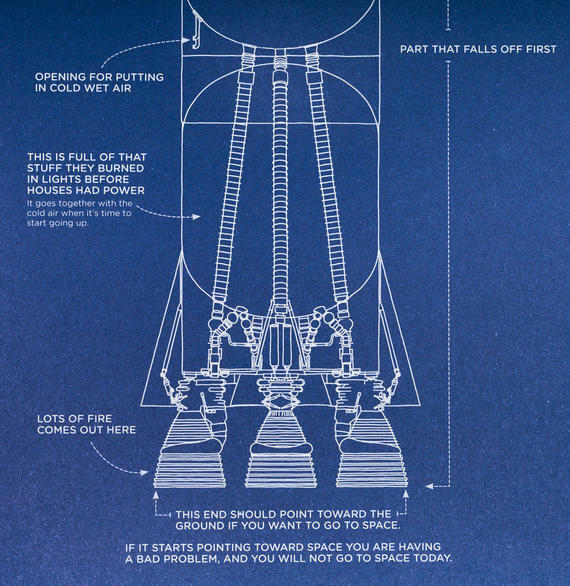 I'm a big fan of Randall Munroe's work. 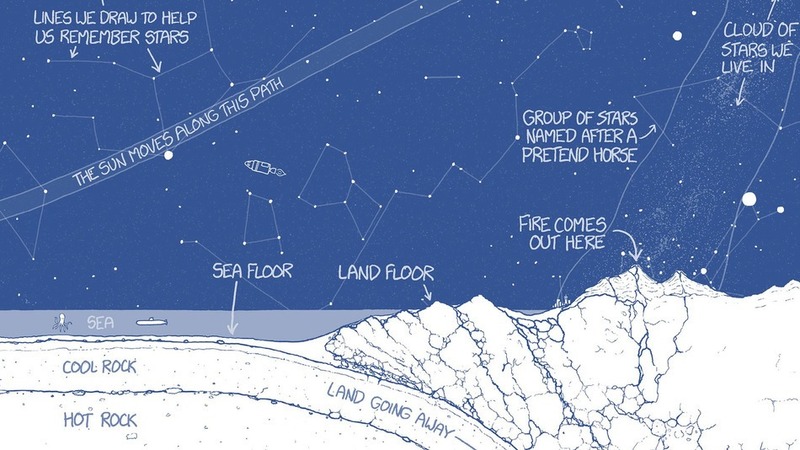 His webcomic xkcd is more than just funny, more than just ironic, it's frequently a good source of explaining how things work. Sometimes those "things" are science, sometimes politics, sometimes relationships. And they are frequently funny, but Munroe helps us make sense of the world around us using simple diagrams and big ideas. "I've spent a lot of my life worried that people will think I don't know enough. Sometimes, that worry has made me use big words when I don't need to... Sometimes I would use those big words because they were different from the small words in an important way. But a lot of the time, I was really just worried that if I used the small words, someone might think I didn't know the big ones." Raise your hand if you've felt that way. Whether as a teacher, a student, a parent, or a child, we're put in these positions where our vocabulary determines our knowledge. We send the message that if you don't know the word for it, you clearly don't understand it--and vice versa--if you know the vocabulary word, you know the bigger concept that it represents. Both may be untrue. 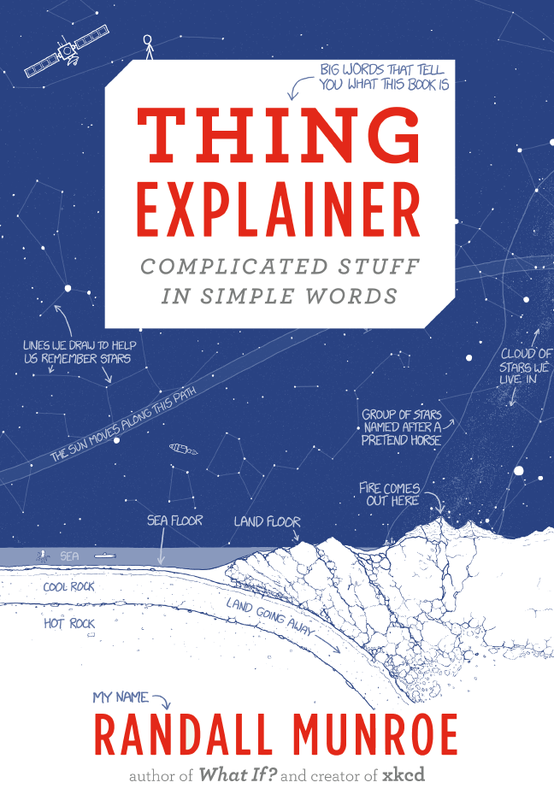 In Thing Explainer, Munroe demonstrates how even the most complicated concepts, processes, and inventions can be explained using very simple words...especially when accompanied by complex drawings. That whole "a picture tells a thousand words" idea comes in handy here. ...and about forty others. Besides being a solid informational book, it's also...fun. Funny. 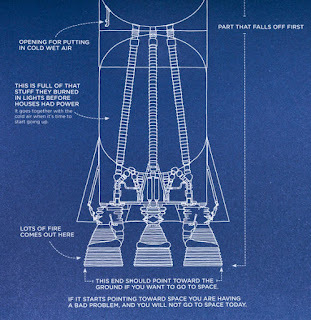 There are arrows at the bottom of rocket engines saying "these should be pointing toward the ground if you want to go into space." He manages to do these things without being condescending, and possibly poking fun at traditional textbooks and teaching now and then too. At the beginning of a unit, use a page relevant to what you're teaching as a primer for what you're going to be learning together. At the end of a unit that covers that material, have students go through and assign the "big words" (correct vocabulary) to the pieces or processes that Munroe used in his book. Using Munroe's style of "thing explaining" as a template, have students create their own page that could be added to his book, explaining an important concept that you've learned about in class. Discuss the importance (or non-importance) of academic vocabulary -- does it make really understanding what you're learning about easier or more difficult? What role should academic vocabulary play? As a class parse out Munroe's explanation of one thing, and analyze it -- does he really explain what he's claiming to? 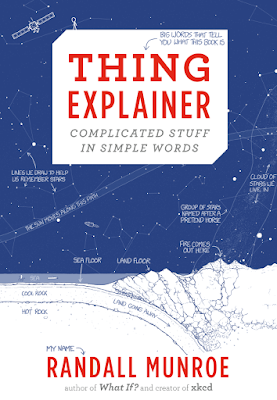 What would need to be added to his book to make it more helpful to people wanting to understand that "thing?" This is a book I love as a non-teacher who's just interested in geeky things like how things work. With my teacher hat back on, I think there's a lot we can learn from this book. I'm a history teacher, so I wish there were more social studies-related topics in the book, but just the page on the Constitution (founding document, not the sailing ship) presents some great opportunities for the classroom. 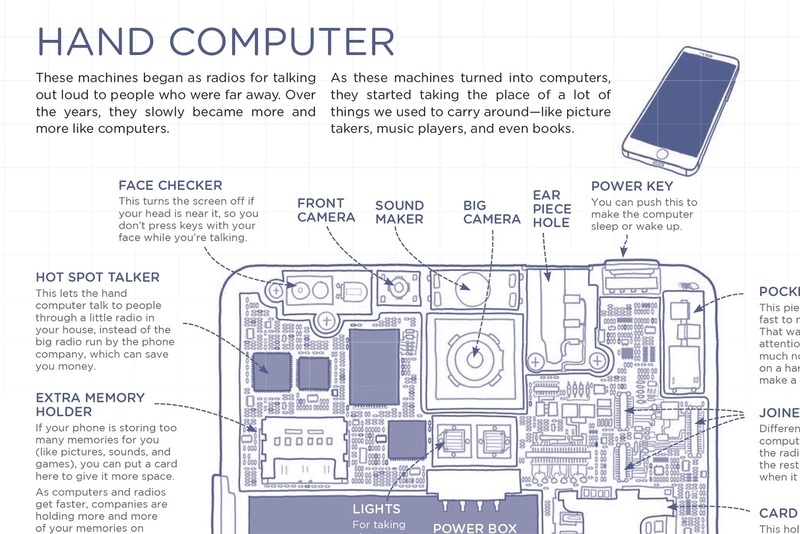 If you like xkcd, you should check out Randall Munroe's Thing Explainer. You'll be glad you did.